Formerly Rosewood Design Build Inc. 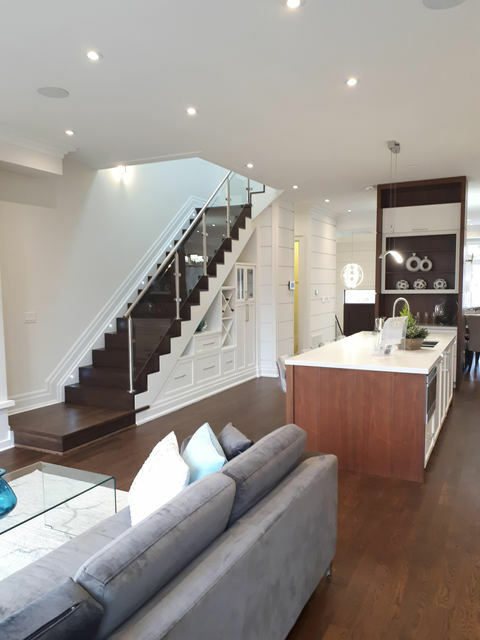 Reviews for Sherwood Flooring Inc.
We contacted Rosewood Design to finish the basement in our newly made house in Collingwood. That includes a full two bedroom apartment with fully equipped kitchen and bathroom. Pedja was very diligent in providing detailed offer with very competitive price. Each item was fully described and defined. The execution of the contract followed agreed schedule with no or very minimal (but justifiable) price adjustment. Although having a number of unforeseen obstacles the job was finished almost as planed on our full satisfaction without a single dispute. Pedja is a honest and professional contractor I would recommend him with an open hart. Thank you very much Zoran. i hope you enjoy your new finished basement. We purchased a house that was build by Rosewood design build inc. Such an amaizing experience with our new home. Everything in our house was completed so nicely and anybody could tell that Rosewood team cared about every single the smallest detail. We will recomend this company to all our friends if they ever need a magnificent builder. Thank you very much for your good words. we are trying our best to make our clients happy. Me and my family just moved in to our completely renovated home finished by Rosewood design. We allways wanted large modern master bedroom and master ensuite with lots of glass paneling and finally we got it and couldn't be happier with final results.Rosewood team perform great job on our house. Allways available on phone and emails and very knowledgeable tradesman were working on our project.We would gladly recommend Rosewood to any of our friends who are in need for good renovators. Thank you very much for your good review and I truly believe you are enjoying your renovated home... it was real pleasure working with you guys. My wife and I did a large very demanding renovation to our house. We wanted to have an extension to the second story overlooking our ravine lot. This specific job required very knowledgeable site supervision and very skill trades. After all time we spend looking for builder who can take on such demanding project one of our friends told us about Rosewood design build and highly recomended them to do the job. After we spoke with Pedja and Chris we knew that Rosewood team is the right choice for our project and they will perform the activity on given timeline and budget. The entire job was completed in 5 months and we couldn't be happier with end results as we are right now. 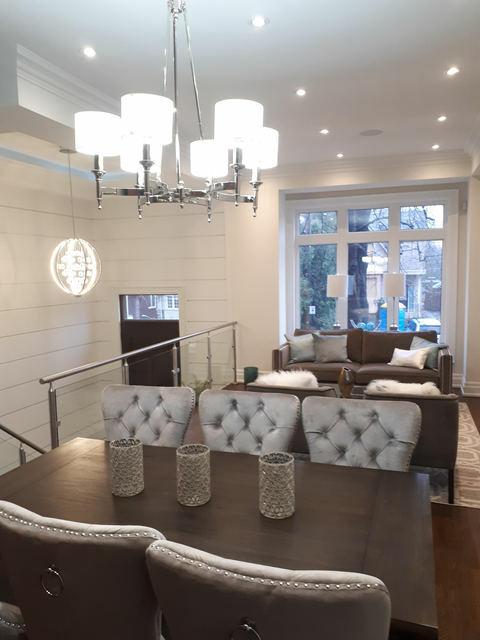 Attention to all details and finishing work are just outstanding and now live in a home that was our dream for past years, we will highly recommend Rosewood design to any of our friends for any new build or renovation needs. Predrag and his company did an amazing job renovating our house. They were very diligent and trustworthy. Rosewood uses their own people for every phase of the project. They were very professional, and efficient. We had some major reconstruction to be done, faced with lots of challenges; however Predrag and his crew worked closely with us, communicated all possible options and gave us the best solutions. It has been our pleasure working with Predrag and his crew and we would highly recommend Rosewood Design Built to any of our friends. Thank you very much for good review Veronica. i hope you enjoy your new home. Worked with Pedrag for office dividers project and new house built railings. Very knowledgeable regarding the project. Helpful and cooperative for any questions. Friendly with his clients and motivated to keep the project on schedule. Would recommend to anyone for residential or commercial renovations. Thank you very much for your good review. It was our pleasure to work with you on this project and we looking forward to next projects in near future. My husband and I initially had decided to do our home renovation ourselves. At the beginning everything seemed to be going fine, however that was short lived and it came to the framing inspection stage. At that specific inspection we already ran into some major problems. The work the framing contractor had done on our home did not pass the framing inspection and the inspector noted some major deficiencies. When we tried to reach the framers to fix this they told us that everything was done up to the standards. At this point they had taken our money already and stopped returning our calls, so our renovation came to a stall. We lost a lot of money, time, and energy trying to deal with the contractor and fix the issues. At this point, we had no idea how to proceed any further. 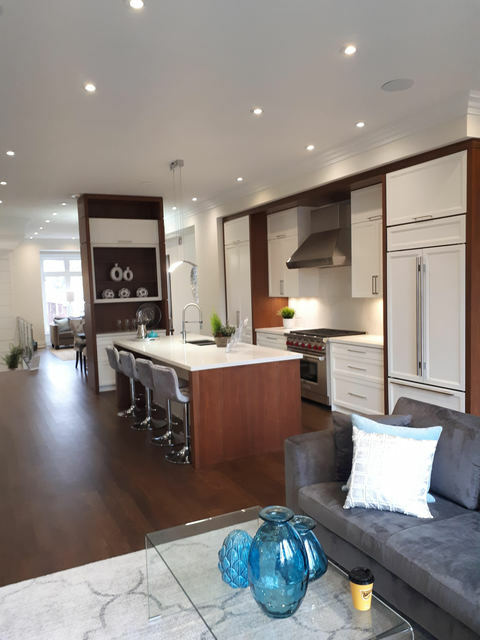 After consulting with some of our neighbours, we found out about Rosewood Design Build Inc. They had done several houses in our area and had a strong and trusted reputation. We contracted them and our experience with the Rosewood team was wonderful. 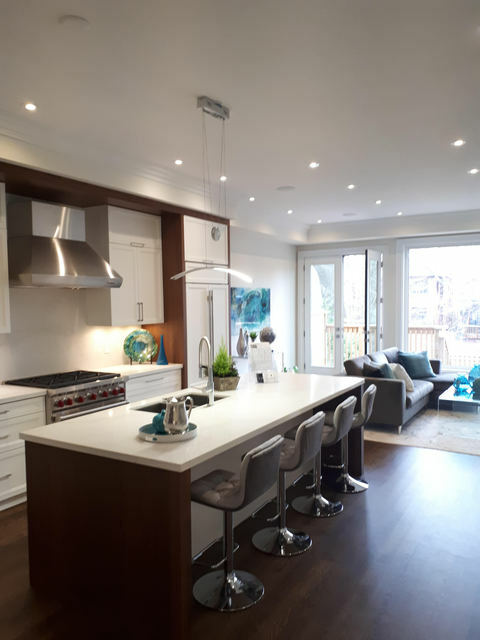 They took over the project and came up with various solutions to quickly resolve the structural issues we had so that the construction could continue. The Rosewood team was very knowledgeable, always available for questions and consultations, and it was truly a pleasure working with them. They were able to deal with any unexpected challenges that surfaced in a matter of hours and come up with an effective solution. They also made sure that every step of the project was done right and completed on time. We are so happy with our new home now and would highly recommend Rosewood Design Build Inc. It was our great pleasure to deal with such people as you two are and it was our great experience helping you to construct your very unique project. Many thanks and we hope you are enjoying you new home. 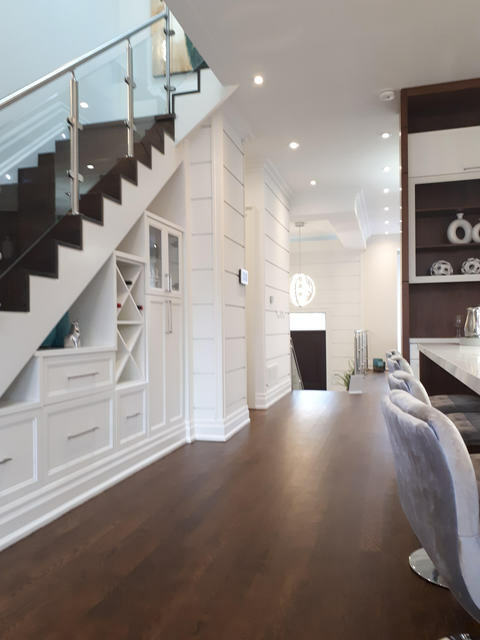 My wife and I were looking to do major renovations in our home in Mississauga. After spending a little more time speaking to other builders we still were not convinced that we found the right one. After a few days we spoke to a friend of ours and she suggested that we try a building company by the name of Rosewood Design Build Inc. After going on their website we were very impressed with their homes so we made an appointment with them and must say that it was one of the best decision we ever made. From the very first meeting we definitely noticed that they were like no other. We had a very good feeling about them right from the start. The Rosewood team is very professional, take great pride in their work, will go above and beyond and get back to you should there be any queries. Rosewood team actually cares about their customers and build each home with outstanding quality. We were impressed with the quality and reasonable price. The whole experience was stress free with no hassles at all. Right from when the process started through to the end, we were informed on everything and kept in the loop. Communication was great with everyone from Rosewood team. Being flexible was another bonus for us, letting us make changes along the way. We are extremely happy with our home and would highly recommend your company to all. As a custom home builder these feedbacks means a lot us Dilan. Thank you very much for the opportunity to work on your project and hopefully we got it right. 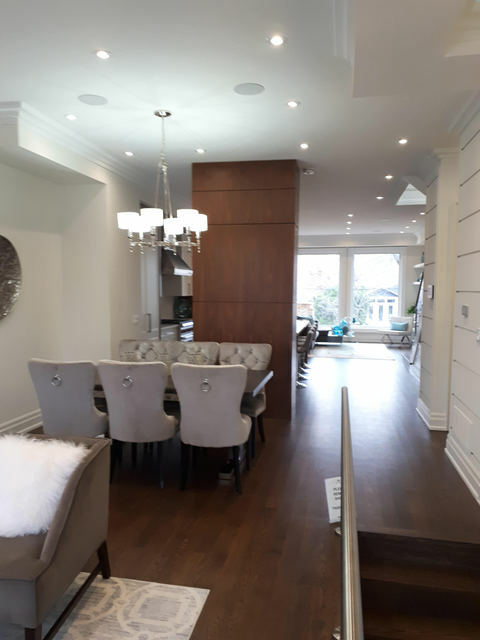 Rosewood Design & Build Inc. helped our family to design and complete our home renovation. The whole process was very smooth, everything was completed within the established timelines, and we are very happy with the results. The Rosewood team listened to all our concerns and was able to present various concepts for us to consider before finalizing a design most suited for our needs and budget. 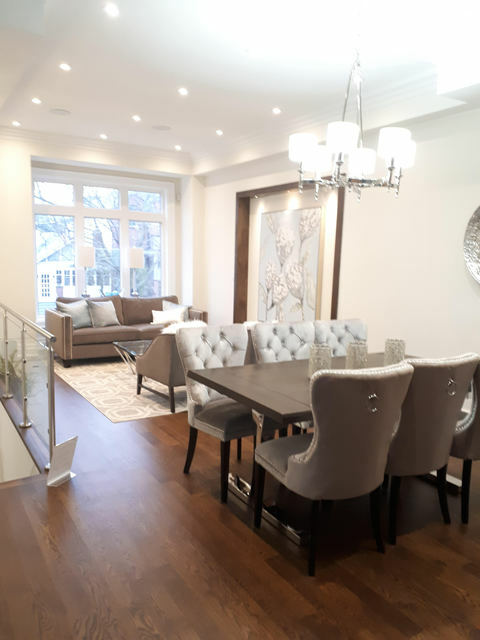 From the start to the finish of the entire project they were available to us, they answered all our questions on time, and provided us with wonderful service. It was a real pleasure working with them. We would definitely highly recommend Rosewood Design & Build. Thanks a lot for nice words about our device and company. I twas our pleasure to deal with you family Anna. Best of luck and enjoy your new place. More about Sherwood Flooring Inc.